Orchard View is a charming modern farmhouse situated in the midst of a glorious old orchard and surrounded by extensive flowering gardens. This home has a strong feeling of openness and space, yet it's one of our most private homes because it's set on so much acreage. Best of all, you have direct access from the property to a huge private beach. 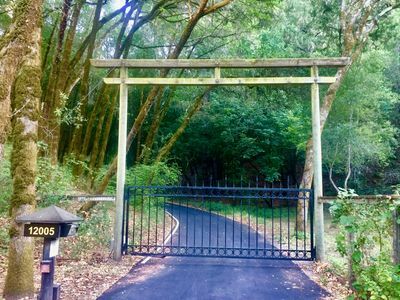 If you're looking for a gorgeous country getaway, this is the perfect spot. 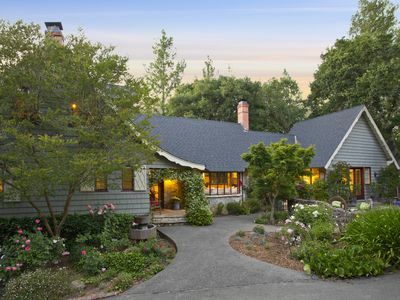 This home has a main house and adjacent cottage, providing both great proximity and separation of space. 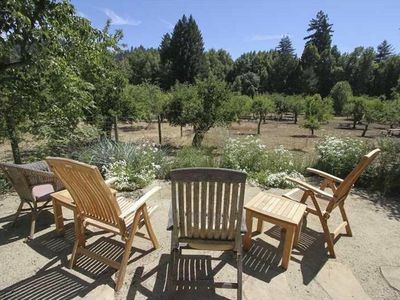 Inside the main house you'll find an open floorplan with windows everywhere looking out on the gardens and orchards. 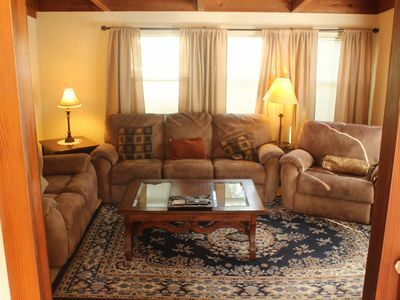 The rustic chic décor is high quality and comfortable. 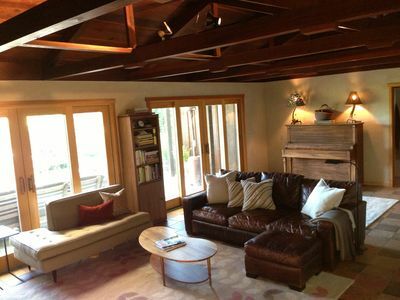 The living room is large yet cozy thanks to a lovely wood-burning stove. Out the windows you can see the long porch and the orchards beyond. 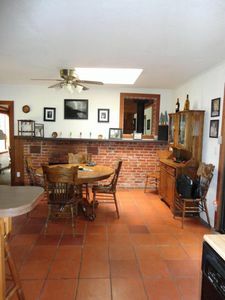 The kitchen is cheery and well equipped, with a bar separating it from the dining area. 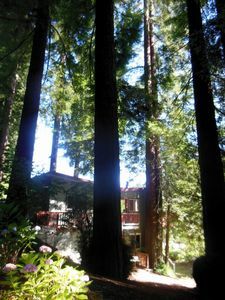 Upstairs in the main house are two bedrooms, including q serene master bedroom with unobstructed views in all directions. The downstairs bedroom is a beautiful, light-filled room with lots of windows and lovely views, with an antique full-sized bed to snuggle up in. 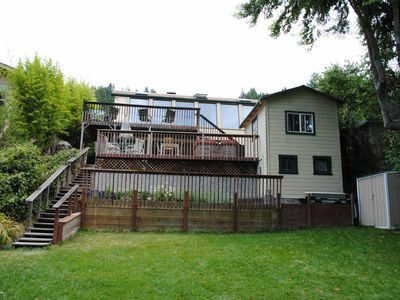 The wrap-around porch runs the length of the house and looks out on the orchard and the hills beyond. The river is just beyond the orchard and through some trees. 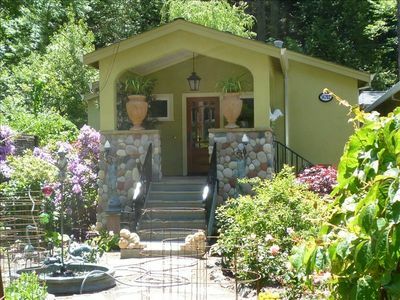 Surrounding the house are extensive gardens full of flowers and color. Help yourself to fruit and veggies as they become ripe and ready. 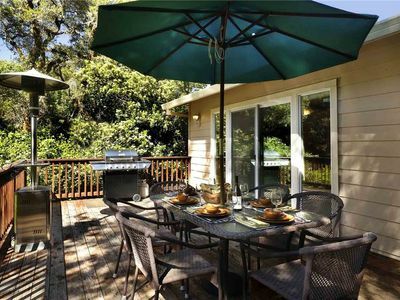 Orchard View is only 2 miles to downtown Guerneville. And to top it off, there is a 5 minute trail leading directly from the house to a huge 1/2 mile private beach. 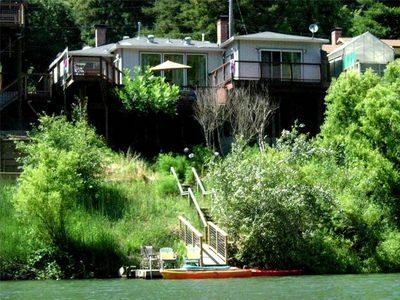 Watercraft, river access, beaches and docks are available only seasonally depending on river levels, dam and bridge installations, which is beyond our control. Additional 10% for holiday periods. Contact us for details. 2 cats are currently in residence 10/11-11/11/17. Pet sitter will be provided or guests can opt to feed cats. 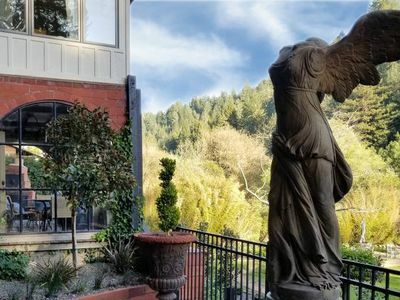 - Pricing includes Homeaway/VRBO commission/fee structure. 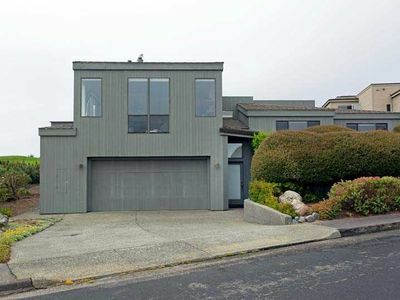 Rates for this home may differ on Airbnb and our company site as a result. - Availability calendar is not updated in real time, so please contact us for the most up-to-date availability before submitting a reservation request. - 4-nights to one week minimum during high-season (Memorial Day weekend through Labor Day weekend) & holidays. 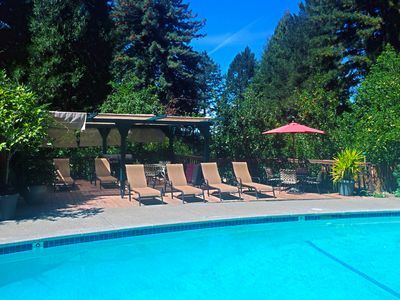 - Last minute 2-night stays considered for Monday-Thursday reservations (excluding holiday periods). Contact us for details. PLEASE NOTE THAT WE HAVE A 4-NIGHT TO ONE WEEK MINIMUM IN THE SUMMER AND WE FILL REQUESTS FOR SHORTER STAYS WHEN AVAILABLE. - Rates are subject to change up until reservation is confirmed. 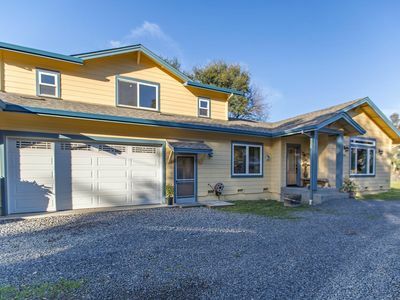 Converted Barn in Sebastopol w/ Private Patio! 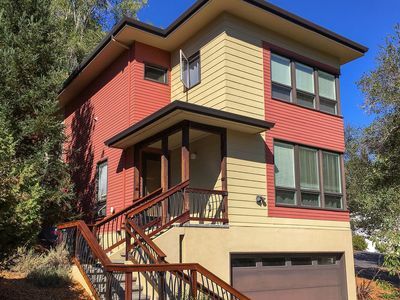 2BR Sebastopol Townhome on a Pinot Noir Vineyard! 'Seaside Hideaway' Hot Tub, Amazing Views! 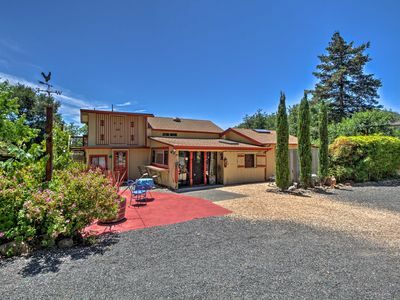 Russian River Gem in the Wine Country Close to Ocean and Spas. 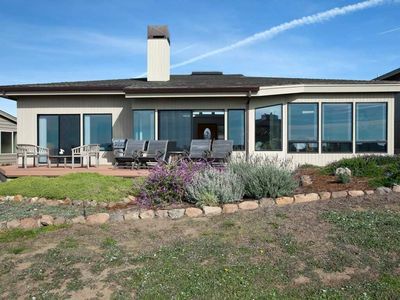 Secluded Luxury Wine Country Home in the hills of west Sonoma County. Sleeps 10. 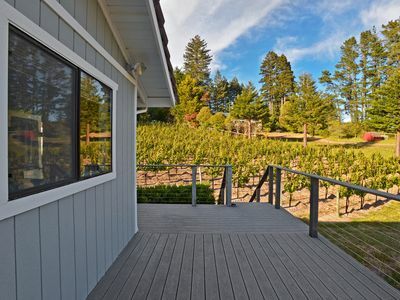 Stunning contemporary home seconds from world class wineries! 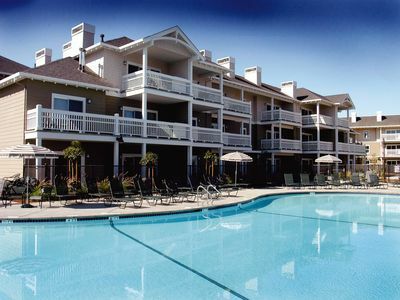 Worldmark Windsor/Healdsburg Wine country 3BR 2BATH Sleeps8 Instabook! !